Home » Wrestling News » WZ Post Show Podcast: What Did You Think of WWE Fastlane? Who will be heading into WreslteMania as champion? What major swerves did WWE fans see? Is Becky Lynch heading to the biggest show of the year? Is Daniel Bryan still WWE Champion? Was the Shield successful in their reunion? What’s the future for Dean Ambrose in WWE? 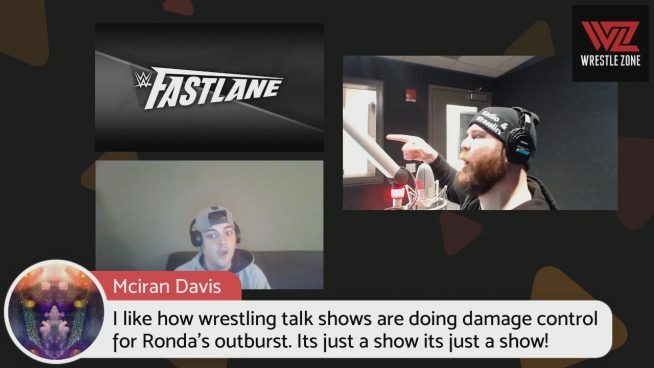 Join 101WKQX’s Kevin Kellam with WZ’s Jon Jansen and Angel Garcia as they breakdown the playoff atmosphere that was WWE Fastlane in Cleveland. Get in the chat below and SOUND OFF, the best comments get on screen for live interaction! The stream is set to start shortly after Fastlane’s final match ends. Check out our additional weekly podcast ‘Get the Tray Tables’.